Google, Realtor.com, Redfin, Yelp, Zillow/Trulia (Buyer) - Nancy and Sal were more than amazing! Their professional expertise were outstanding. Her advice and timely responses made the process extremely smooth. It took about a month from the time we found our house to the time we got the keys. The professionals she knows too were great. Our mortgage process went just as smooth as our house hunt. Google, Redfin, Yelp, Zillow/Trulia (Buyer) - She's very devoted, responsive and an experienced guide on house buying. She takes care of every minute step in the buying process with great responsibility. I strongly recommend Nancy and her husband Sal Villasenor for real estate services. 10 out 10! Yelp, Google, Realtor.com, Zillow (Buyer) - My Husband and I were looking into purchasing a home. We weren't sure if we wanted a home, mobile home, townhouse or condo. We were referred to Nancy by a relative who had worked with her and told us how amazing she was. Well she was right, Nancy helped us every step of the way and leading us to other resources to help us with the purchase. We found a condo that was within our budget and neighborhood that we loved. We can't thank Nancy enough and it was been great updating our home to be just the way we want it. Yelp (Buyer) - Nancy kindly assisted me through purchasing my first home. I told her what I wanted and expected, to my amazement she delivered. I was recommended to them by a friend. Smooth process, very professional, and timely. Redfin (Buyer) - The best agent in Ventura County!!! Redfin, Yelp, Zillow/Trulia (Seller) - We recommend Nancy and her team to everyone, our experience was easy and rewarding. She knew how to best negotiate with the buyers and her experience will go to work for us again when we sell our remaining properties. It was easy and the results were good. Thanks. Redfin (Seller) - Nancy Villasenor is an Excellent Real Estate Agent that worked creatively and diligently to list and sell our home. She was always available, and in constant contact with news and information regarding our home sale. I Highly Recommend Nancy! 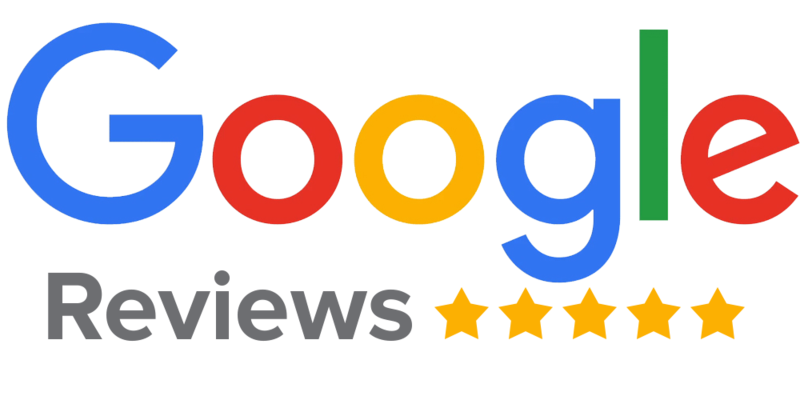 Google, Realtor.com, Zillow/Trulia (Buyer) - My experience with both Sal and Nancy Villasenor was nothing short of great! It was a long often frustrating journey for my husband and I as first time buyers but with their help and encouragement, when we felt discouraged, we were able to find the right home for our family. What I liked most was that having so many questions, as I did, they were always answered quickly and with so much information given. They were very patient with us and always provided the most current listings on a regular basis. I felt like they were with us every step of the way. We felt very safe and it was very important for us to be able to trust our agents that they would help go guide us in the right direction. They definitely did that for us and then some! I was able to reach out at any time, which was nice. In the end, we found our home....thanks to the Nancy and Sal!! They are very much appreciated!! Redfin (Buyer) - We found Nancy and Sal by looking for REMAX Gold Coast agents. They lived up to their reputation by responding to our contact immediately and showing us exactly what we wanted to see. They are a great team, and we enjoyed working with them very much. They led us through the closing process and bargained hard on our behalf. When we took possession they brought us really thoughtful thanks for your business gifts, and we've stayed in touch as we've begun our renovation work. Businesslike, professional, and calm, they handled potentially stressful situations well. They earned our trust and our gratitude. Realtor.com, Yelp, Zillow/Trulia (Buyer) - Very good realtors both of them. Extremely patient and very responsive... I like my house.. yes really !!!! Redfin (Seller) - Nancy did a great job finding a buyer for our home in a short amount of time. Sal did a great job of taking pictures and getting it out there amazingly fast. She and Sal were extremely responsive and answered any questions that came up. We highly recommend them and enjoyed working with them. Redfin (Seller) - Nancy was responsive, knowledgeable and easy to work with. I would highly recommend her. Redfin (Buyer) - Very knowledgeable, professional, and kind. Google, Redfin, Yelp, Zillow/Trulia (Buyer) - Excellent Agent! Always timely, honest feedback, genuine care for your best interest. After purchasing multiple properties, hands down the best agent I have worked with! Will seek her out for my next purchase. Redfin (Seller) - Nancy is absolutely amazing to work with. She is honest and professional and seemed to always be working round the clock to ensure all my questions and concerns were addressed. Nancy went above and beyond - highly recommended! Thumbtack (Buyer) - I had the best experience with not only my first home purchase but my second as well. Very professional and quick to respond to any and all my questions. Redfin (Buyer) - Nancy is extremely knowledgeable, helpful, and attentive. She was available anytime we had questions and always seemed happy to help. As a first time home buyer, I was unsure of how the process worked, but Nancy made everything easy to understand. I would highly recommend her to anyone. Redfin (Buyer) - She showed me a property and I could tell right away she was very ethical and very solid. We plan to use her again! Highly recommended she and Sal are going to do it right. Redfin (Buyer) - Nancy was great! Very personable and professional! She looks for exactly want you want and tries her best to accommodate all requests when possible. I highly recommend Nancy! I used her both to help me sell and buy my new home. and I have never had a better experience with any realtor. Redfin (Seller) - Nancy was great! She paid attention to every request and was always available no matter what time of day. Nancy answered every question and helped me understand the process thoroughly. I highly recommend Nancy! Redfin (Seller) - Nancy has been my realtor as a buyer twice and a seller three times. She is knowledgeable, honest, professional and kind. My recent sale was difficult but Nancy kept me informed and guided me through the process. I would highly recommend Nancy to anyone! Redfin (Buyer) - Nancy is great! Definitely will recommend Nancy. Redfin (Buyer) - Nancy was knowledgeable, professional and sincerely interested in helping me find the home I was looking for. I recommend her highly. Her skill as an agent is outstanding. Redfin (Buyer & Seller) - We highly recommend Nancy to anyone who is interested in buying or selling real estate. Nancy is very professional and will excel in finding your dream home. Our experience working with her to sell and buy our new home was excellent. She always made us feel like we were her priority client. Redfin (Seller) - Nancy and her husband are very positive agents and I was very satisfied with the results that we received from them. Nancy was able to keep us informed about everything and answered all our questions as we needed to understand the legality of the paper work. We wanted it sold within a certain length of time and Nancy was able to get it done so we're pretty happy and satisfied with her excellent expertise. She was there when we needed her. Redfin (Buyer) - She is very personable, and easy to talk too. She listens to what you need and want, and helps you find it! I would recommend her to friends! Redfin (Seller) - It was a pleasure working with Nancy! She's a pro at her job and helped us navigate the process as smoothly and effortlessly as possible. I particularly liked that she was extremely attentive to our concerns and/or questions, was in constant communication with us and made herself available whenever we needed her time. I would definitely recommend Nancy to anyone in search of a great realtor! Redfin (Buyer) - Nancy is great. She put in a lot of hard work and did her best in our interest. Would definitely recommend! Redfin (Seller) - Nancy is the most professional, knowledgeable, sincere and fair agent I have ever met. She has sold two homes and purchased one with us. We have met quite a few agents and not a single one of them compares. She took every single one of my calls and somehow managed to make me feel like I was her only client every single time. I can't find enough good things to say about Nancy. If you are in need of a good agent, Nancy is the only agent you should consider. She serves a very wide area in Southern California and she should be your first phone call next time you have real estate needs. Yelp (Seller) - I am currently going through a legal issue and thought selling my home was my only option. I immediately begin searching for a realtor. Nancy was recommended through a search engine and she reached out immediately. I did not respond immediately because I was doing my own research. She continued to contact me but was never pushy. I finally reached out because I had exhausted all other resources. She has been amazing. She is quick to respond and offer advice. We quickly realized that I would not be able to list my home right away but that did not stop her from helping me. She consulted with other professionals and continued to keep me in the loop. We've determined that selling is not the best option at this point in time and she continues to be available to me. I will be selling my home eventually and Nancy has my business, guaranteed. She obviously cares about her clients and goes above and beyond what is required of her! Thank you, Nancy! Redfin (Buyer) - Nancy was an amazing real estate agent. She helped us find our dream home in a short time! She is professional, extremely knowledgeable, and always available for questions. She is on top of everything! She is very thorough and detail oriented! I had a great experience with her help! Redfin (Seller) - Nancy did a great job marketing our home! Redfin (Buyer) - Nancy is fantastic! She is the best real estate agent we ever had !!! Redfin (Seller) - Nancy is a reliable, dependable, knowledgeable and in-communication agent. This is the second time that we have used Nancy and I recommend her to friends and acquaintances frequently. Redfin (Buyer) - Nancy really goes above and beyond. She cares for each client that she has and I highly recommend her. She prides herself on getting back to her clients, and rightly so. Communication is very important, especially in this market and Nancy gets back to her clients. She also knows the Real Estate market, learned from the bottom up and knows her business. Redfin (Seller) - She was a good agent, did everything she could to get us into our new house. Redfin (Buyer) - We were very satisfied with both Nancy and Sal they made home selling and buying easy and less stressful. They were on top of providing us with homes as they came available to view. Even through our transitioning to our new home and community they made it easy and were helpful. They made themselves available and walked us through the whole process. Not once did we feel pressured or rush to commit to anything. We would definitely recommend them and their services to anyone. Redfin (Seller) - Will buy and sell with her help anytime. Zillow/Trulia (Buyer & Seller) - Nancy was instrumental in the simultaneous purchase of my new home and the sale of my previous home. She is professional, knowledgeable, and highly responsive. She anticipated my questions and needs and kept my stress levels to an absolute minimum. She made the processes of buying and selling practically seamless and gave me sound advice and piece of mind. She was handling several clients simultaneously, but I NEVER felt like I wasn't her top priority. I recommend Nancy highly and she will be my first call if and when I am in need of realtor services. Zillow/Trulia (Buyer) - Being a first-time home buyer, I was a bit apprehensive in dealing with realtors. It was tricky enough trying to make a decision in an unstable housing market, but to deal with someone who is trying to sell me an "investment" that I will be involved with for the foreseeable future... that took a leap of faith. I can whole-heartedly say that my faith in Nancy Villasenor was well-placed. At a time when the market was really competitive and the prices starting to climb back up, Nancy worked with my wife and myself diligently to find our very first home. When my wife fell in love with a home, Nancy worked tirelessly in giving us all the information she can obtain regarding the property. She is very knowledgeable when it comes to home inspection as well. I can't remember how many times I've bombarded her with questions regarding sales, realty, escrow, and legal terminology - but she answered them all and I did not feel as if I was signing my life away the day I signed the final documents. Words cannot express my family's gratitude to Nancy Villasenor and the rest of her team. Thank you for all your hard work. You are THE BEST at what you do! Movoto (Buyer) - Nancy responds to my emails incredibly promptly, regardless of the day of the week or time of day (or night!) She sets-up viewings quickly, arrives promptly and is always thoroughly prepared. My wife and I regard ourselves as extremely fortunate to have found her and feel that we are in very safe hands in our search for a new home for our family. Movoto (Buyer) - The best. Nancy was on top of everything, every step of the way. She is very professional, easy to work with and really knows her job. Working with her was painless and stress free. She is amazing. Is there anything you wish Nancy Villasenor did differently? No. How did the agent help in finding the right property for you? Perfect. How did the agent help to get a good price for you? Better then I had hoped for. Realtor.com (Buyer & Seller) - Nancy simultaneously helped me sell my old home and purchase my new home. Her customer service was flawless. Working with Nancy was seamless. Her knowledge combined with her proactive and responsive working style made for a winning combination as I am very busy in my work. She made me feel, at all times, like I was her only client (she is the best multitasker that I know). Most importantly, she leverages her expertise of the market and her profession and gave me consistent good advice and really shepherd both of these transactions very quickly with a coordinated timing that worked for me. Lastly, she is a gem of a person who genuinely cares about her clients and their needs. I always felt like she consistently went the extra mile at every opportunity - and I am very particular and can be somewhat demanding. I cannot praise Nancy enough for the fine job she did on both of my recent transactions. LinkedIn - Nancy is wonderful to work with. Very good communicator and fast response to any questions or issues. Nancy is always positive and takes the time to help and follow-up and return calls. I enjoy working with Nancy and her family And I wish Nancy all the success she deserves in her excellent career. Zillow/Trulia (Buyer) - Nancy helped us buy a foreclosure and was extremely knowledgeable in the process and got us a great deal. She also was able to get the bank to do a lot of repairs which equated to thousands of dollars in savings. I will definitely recommend Nancy the next time somebody needs a good Realtor. Zillow/Trulia (Buyer) - Nancy helped us buy a home that was in foreclosure. The purchase had many difficulties but Nancy had the expertise to manage the transaction. I would highly recommend her! Movoto (Buyer) - She knows her stuff and will get the job done! We were very impressed with Nancy! She knew what she was doing and could explain what the process involved in an easy to understand way. This was Very Important to us. She found us the right home and really worked on us getting it. She's just an all around great person! You will not be disappointed with her! Is there anything you wish Nancy Marie Villasenor did differently? NO. How did the agent help in finding the right property for you? She understood what we were looking for. How did the agent help to get a good price for you? She knew our limit and helped negotiate price when it was over what we could pay. Yelp (Buyer) - It took us over 6 months to find our perfect home and Nancy was there for us the whole time. I think I called her just about everyday with questions and she always answered my calls. She went above and beyond to get our deal done. We will definitely recommend her to all our family and friends. Nancy is the BEST! Zillow/Trulia (Buyer) - Nancy was quick to respond to my requests, meeting with me on short notice to show a home and assist with leads for financing. Realtor.com (Buyer) - Nancy is the best! She really knows the Realty business inside out and could answer ALL of my questions in a simple easy-to-understand way. Nancy also answers her phone or if she happened to miss my call, would get back to me promptly! I appreciate this tremendously because one of my biggest pet peeves is a professional getting back to me days later or not at all. She has encouraged me to call her with any questions AFTER purchasing the home and I have done this. As is her style, she answers her phone right away or gets back to me promptly and again, always encourages me to call with any questions. Wow! She understood what we wanted in a home and did a fantastic job finding the right home for us! She has tremendous will-power and push and will make sure that you get the home that you want. She is a very sincere person and loves her work and it really shows! I can't recommend her enough! Realtor.com (Buyer) - Nancy did an excellent job helping us find a home. She is very friendly. She took the time to figure out what we were looking for even better than we had done ourselves. We ultimately got a home that we had dismissed on first look and she encouraged us to take a closer look at it. We love the home and are grateful that Nancy was involved and knew what we wanted. Realtor.com (Buyer & Seller) - We worked with Nancy on both the sale of our home and the purchase of a new home. The home we purchased was owned by a bank (REO). Nancy was very knowledgeable about the issues dealing with a bank on the purchase. She was very persistent throughout the length of the deal. She was always responsive when we had questions or concerns. I have already recommended Nancy to friends and family.